The fight against climate change needs to be a shared challenge. Individual solutions will not work, neither will inflexible formulas nor those which are based on a single idea. Only if we all contribute, from wherever we work, will we achieve this longed-for objective. Enagás, part of a group of seven European companies together with Fluxys, Gasunie, GRTgaz, Open Grid Europe, Snam and Teréga, is fully committed to this approach. Together, we they have set up Gas for Climate, an initiative to help reduce greenhouse gas emissions in the European Union to zero by 2050. The group commissioned the consulting firm Ecofys to carry out a study on the future role of gas infrastructures in an emission-free energy system. As, the role of these infrastructures is crucial in making progress to reduce emissions and economic costs, and to improve energy security, all important factors for the success of any strategy to combat global warming. The report includes conclusive figures with regard to non-electric renewable energies. According to Ecofys, the production of gases from renewable sources such as hydrogen or biomethane could be increased up to 120 billion cubic metres between now and 2050, and could be transported using the existing gas infrastructure network. This alternative would represent a saving of more than 140 billion Euros a year throughout Europe. To give an idea, this figure would be the equivalent of about 10% of Spain’s annual GDP. Non-electric renewable energies have huge potential, although they remain somewhat unknown in this country. In this video about hydrogen and biomethane, the key principles of these energy sources are explained. Hydrogen, which is obtained from surplus electrical energy from renewable sources, has a great many applications: fuel cells, network injection, vehicular use, and the production of synthetic natural gas. 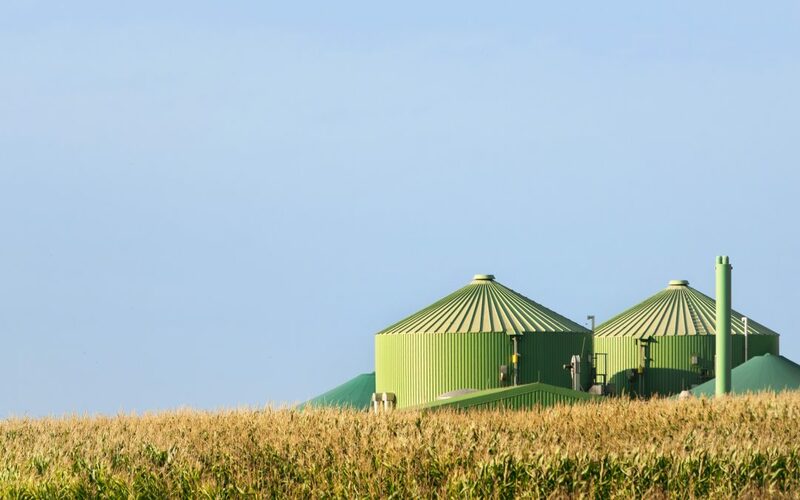 For its part, biomethane-biogas is obtained from the anaerobic decomposition of organic matter present in urban solid waste, wastewater as well as livestock, agricultural and forestry waste. The two options can be used in industry, as fuel for vehicles or injected directly into the pipeline network. At Enagás, we firmly believe that these gases from renewable sources represent a new energy solution that will play a key role in the decarbonisation process. And it will be possible to do so without major investment because of the existing network of gas infrastructure that is fully operational for storage and transport. The injection of biomethane into the pipeline network is already a reality at the Technological Centre of Valdemingómez, where waste generated in Madrid is treated. This will be increasingly common, thanks to the development of innovative projects such as BioEnGas. This initiative, promoted by professionals at Enagás – winner of the innovation and intrapreneurship awards organised by the company Ingenia Business – aims to push for the construction, operation and maintenance of biomethane plants. With this in mind, at Enagás we are signing agreements with different companies, such as Ferrovial, to develop biogas/biomethane projects. As regards hydrogen, we have set up H2Gas, a start-up that is studying the use of ‘Power to Gas’ technology to generate hydrogen from water and electricity, and to produce it, transport it and inject it into the pipeline network. We have also signed an agreement with Repsol to develop technology to produce renewable hydrogen mainly from solar energy that offers a carbon footprint reduction of over 90% versus other production processes. We also working with the Government of Aragón to promote projects based on the use of renewable gases. An institutional and business commitment to non-electric renewable energies is fundamental in making efficient progress in the process towards a more sustainable model. A model to which everyone, from wherever we work, can contribute. Climate change demands immediate action: What can we do today?